Reviews and comments on your product page can be sales boosters or killers, depending on how you manage them. 92% of consumers read online reviews before buying anything. Moreover, having reviews on your website improves SEO. That information might make you think that a comments section is a must for every store. That is true if you have a separate page for customer feedback, but if you are planning to rush to add comments to every product page — think again. Time to be straightforward: if you have fewer than 1,000 visitors per day, then do not add a comments section to your product page. If you do, it will remain empty on the majority of your pages. Moreover, 0 comments or Be the first to comment looks depressing and can make your visitors think that nobody is interested in your product. If you are sure you need a comments section, here are a few rules to follow. Place one or two comments on every product page to make them look more friendly. Don’t write the comments yourself or, even worse, hire a copywriter to do it. Just ask your friends, relatives, or clients who actually tried your product. If you sell a complicated product, such as electronics, you can invite geeks and experts from the net to review it. Make sure you reply to every critic who leaves feedback in your comments section. So you’ve got your first comments, either from friends or from strangers. Friends are likely to leave good feedback, but strangers are different — you’ll never know if there’s a troll hiding behind a smiling avatar. But you don’t want to collect only positive reviews and send the others to your trash folder. What you want is honest feedback — 88 percent of consumers trust online reviews as much as a personal recommendation. Your customers won’t be happy to discover that the reviews exaggerated your product’s qualities. You will have to invest some time to keep your comments section alive. If the latest comment on the thread is dated several months ago, visitors will automatically think your store is no longer in competition. In order to stimulate your customers, ask them to leave reviews. Offer discounts in exchange for feedback and send newsletters with the request to share impressions. If you find that there’s not enough time to answer all the comments, it’s better to disable them completely. It will be easier to ask for comments if you know what you need to make them function as social proof. We’ll look into four comment types that look persuasive and are definitely worth your replies. Sometimes, customers ask straight about the order details, for example when the product will be in stock, what colors are available if it is possible to make a custom order. These are your #1 priority to answer. 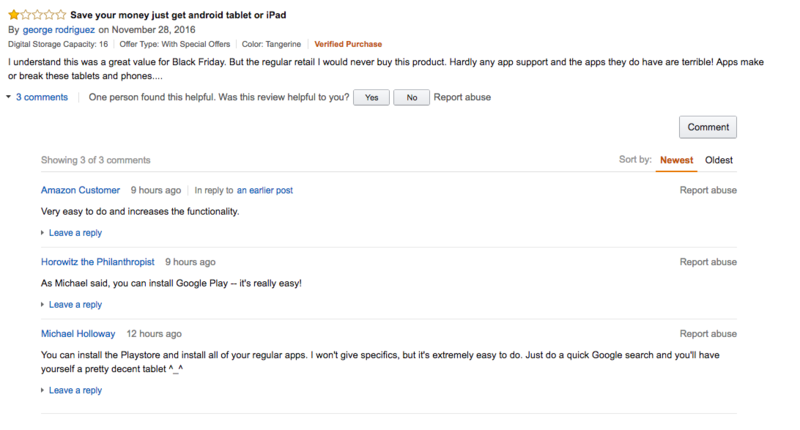 If the review contains helpful advice on how to use the product, it’s your lucky day. You can learn from such comments and discover the pitfalls of what you sell. It’s even better to save such comments in a separate file or Google Doc to turn to them later, when you’ll be refilling your inventory. Do you get an unpleasant feeling in your stomach when somebody tells you your product is not what they expected, or argues with you because of your late reply? You shouldn’t, nor should you ignore them. Negative feedback is your chance to show customers how excellent your service is. Never ever argue back — instead, start with a Sorry and promise to resolve the issue asap. This will make the viewers feel safe — they’ll see that you are ready to help in case of an error, so there is no need to delete these comments after the issue is resolved. Comments or reviews about accessories that are compatible with your product are precious — they give your customers the idea that they should also buy related goods. Stamped.io automatically sends emails to your customers, requesting reviews of their recent purchase. The Disqus comments widget lets customers ask questions, leave reviews, and talk about your products on the most popular commenting platform. Facebook comments let your customers leave reviews from their Facebook account. Reviews are unique and constantly updated content that is important to search engines and ranking sites, created with little or no intervention. Having comments on your product page increases the chances that they will be shown as the results for / product name / feedback requests in Google. If you want to get more user feedback, facilitate the process as much as possible: allow a quick registration (e.g. through a Facebook account) and provide a convenient form for entering the text, keeping in mind that customers leave comments not only from computers but also from smartphones.